On very slow flame in big thick bottomed pan roast semolina ( sooji) well until it slightly changes color and take it out on plate/bowl. Then in the same pan add half of the ghee and half of the besan and roast it well until it changes color and you get strong aroma. Take it out in a plate/bowl. Now add the remaining ghee and besan and repeat the procedure. You could do it all at once however dividing into two parts makes it a lot easier to roast it evenly. Remember roast it on very slow flame and for a long time until it changes color . In the same pan add previously roasted gram Flour (besan) mixture and semolina( rava) and mix well. 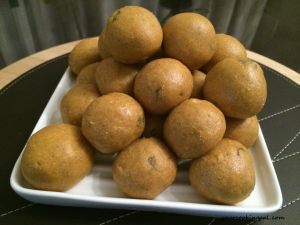 Now take small portions and shape them into round balls. 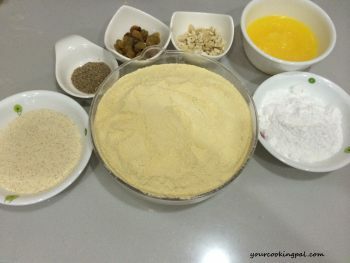 The measurements of the ingredients stated are tried and tested however if you feel you cant shape them well enough you can always heat a little ghee and add it to the mixture and it will be easier for you to shape them. 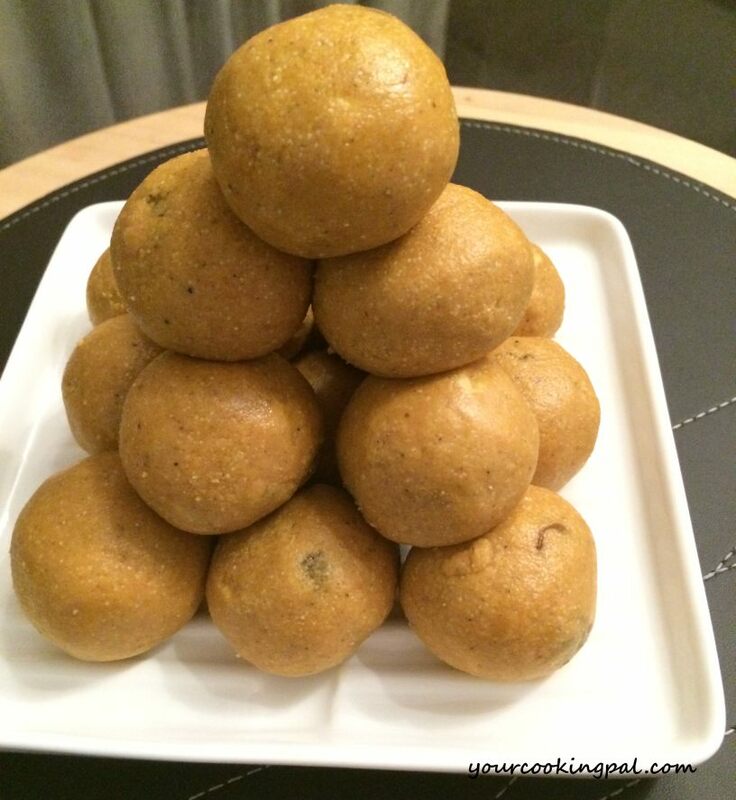 Besan Ladoo is ready however allow them to cool for a bit before storing them in an airtight container. 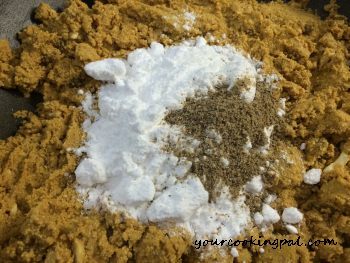 If you have time on hand, very lightly roast chana dal and then grind into a coarse powder in a flour mill. These ladoos taste yummier compared to the store bought pre packed besan .